Why do I keep doing this to myself? I feel like I am a total hoarder, especially when it comes to stationery goods. Whenever I see something cute or interesting (or shiny), I try my damn hardest to walk away, but ultimately I cannot resist & end up getting it. This particularly applies whenever I am near pens (&/or all other writing instruments) & stickers. I don’t know why I am so obsessed with pens, to be honest. I don’t think I even have nice handwriting or good penmanship. I feel like my handwriting looks too masculine, too messy, & much like chicken scratch…or a person hyped up on 6 shots of espresso (which is called a Revolver, by the way). 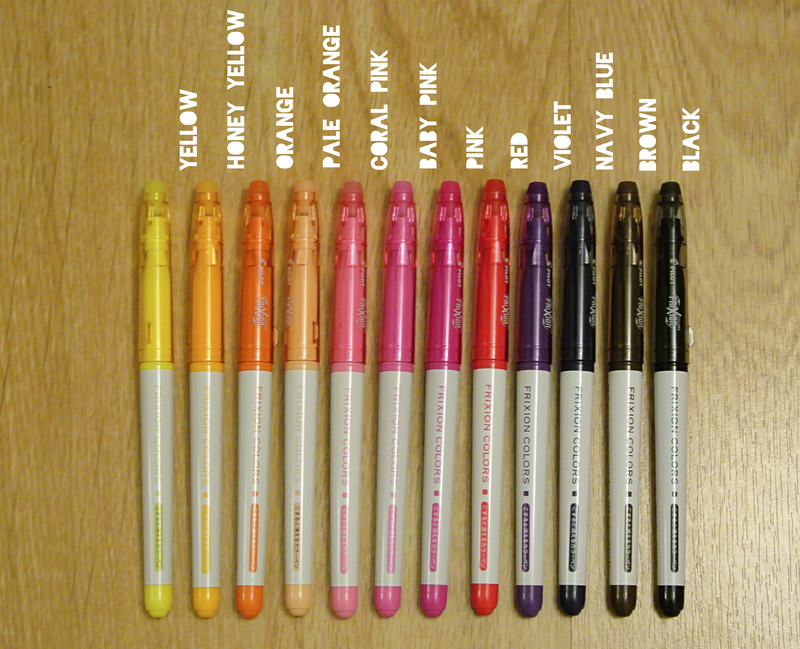 This time, I went a little nuts & bought several Pilot Frixion Color Marker Pens. Now my pen container Leroy is getting full. (Yes, I named my pen container, an inanimate object, LEROY. Whatever.) Anyway, I really love the Frixion series by Pilot. 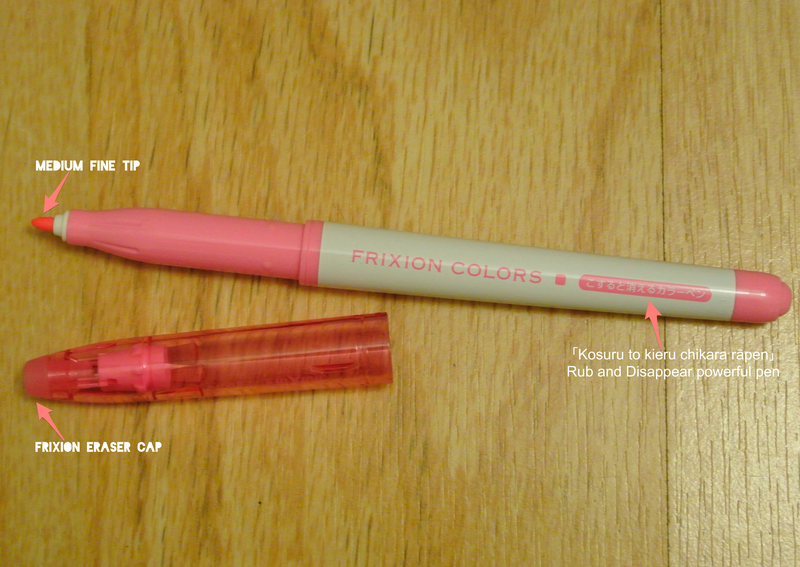 So far, I have 2 Frixion gel pens that I keep in my purse, & I absolutely love them. They are very easy to write with, & they erase beautifully (i.e. very cleanly, with no smudges or paper damage). Since I’ve fallen in love with this Frixion series, I decided to try out these colored markers. The markers don’t erase as cleanly as the gel pens, but they write very nicely without smudges, & I like the medium thickness of the felt tip. Here are the pens that I got recently. These are not all of the colors in the entire series, but they were the only ones I saw, so I snatched them up quickly. I think I am going to try out these pens straight away, & see how it turns out. Until then, cheers!